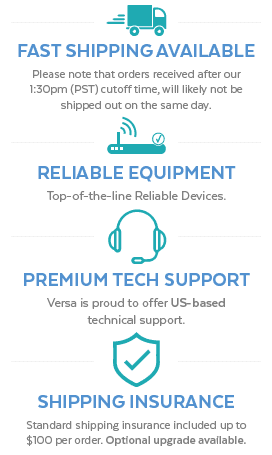 Versa Technology’s VX-8900 Outdoor Series allows HFC networks to offer fiber speeds to their cable subscribers via legacy COAX lines. 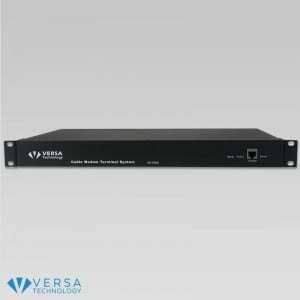 Versa Technology’s VX-8900 Outdoor Series is based on the DOCSIS 3.0/C-DOCSIS protocols and it is specially designed for HFC networks to offer fiber speeds to their cable subscribers via legacy COAX lines. With channel bonding technology, the Outdoor Series can utilize up to 16-QAM channels to achieve downstream (DS) data rates of up to 1.1Gbps; and utilize up to 4 QPSK/QAM channels to achieve upstream data rates of up to 160MBPS. The unit’s downstream can be configured to data channels or IP QAM channel. The unit features 1 RJ45 GE port and 1 SFP GE optical port. With layer 3 routing functions and perfect QoS, the unit can operate in a variety of working conditions and under different vendor requirements. The unit’s high bandwidth capacity and perfect QoS features make it ideal for Internet Protocol Television (IPTV) or Video on Demand (VOD). The VX-8900 Outdoor Series measures outdoor waterproof enclosure. The head end’s compact form factor makes the unit a cost-effective solution for HFC networks seeking to deploy a small-scaled network. 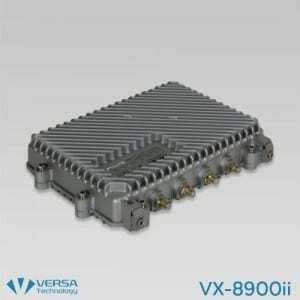 The VX-8900 Outdoor Series is fully compatible with DOCSIS 3.0 / 2.0 cable modems. 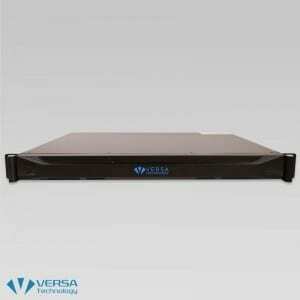 Versa Technology’s VX-8900i allows HFC networks to offer fiber speeds to their cable subscribers via legacy COAX lines.